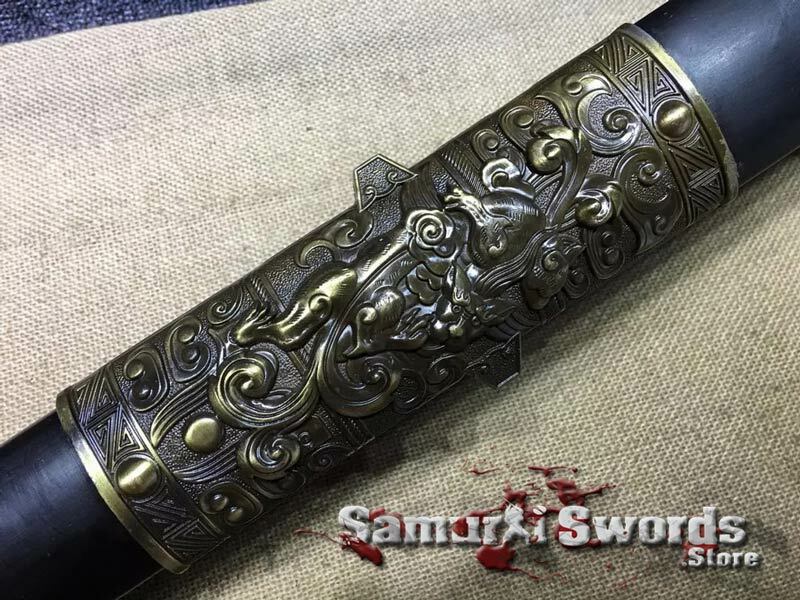 This Jian features the body and head of a Chinese lizard on their dark metal alloy guard and fittings. 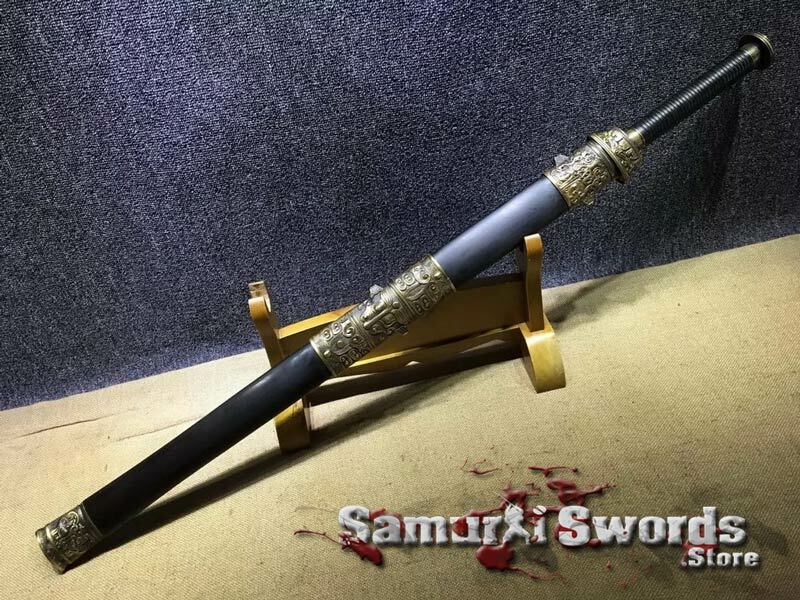 This Jian is also heavily ornamented with the Chinese Dragon, a symbol of power and luck. The dragons on this sword are of the 5-toed variety, meaning they are the reserve symbol of the Emperor himself – A fitting ornament for a noble weapon, as the later Jian was a status weapon. 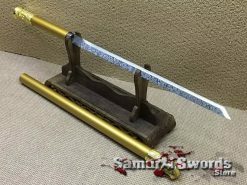 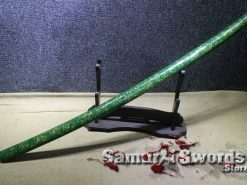 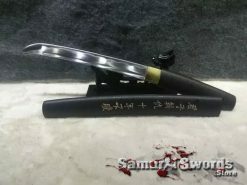 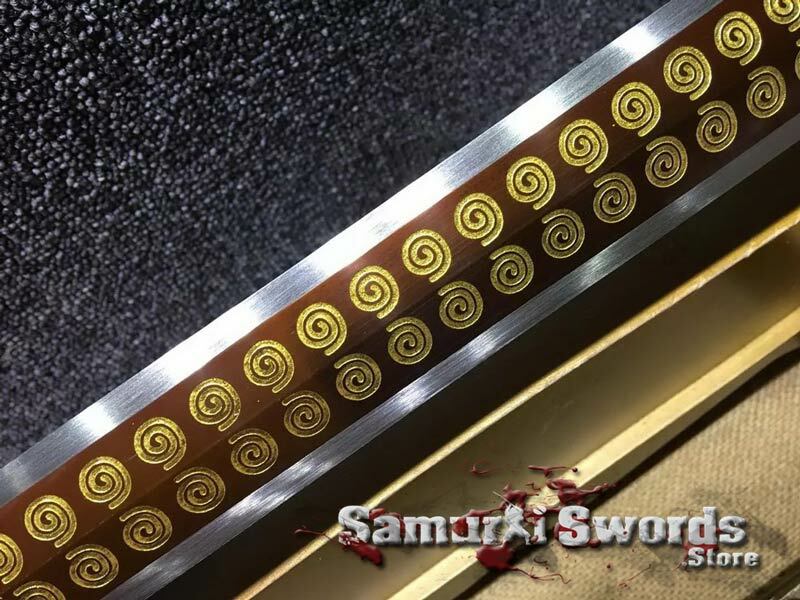 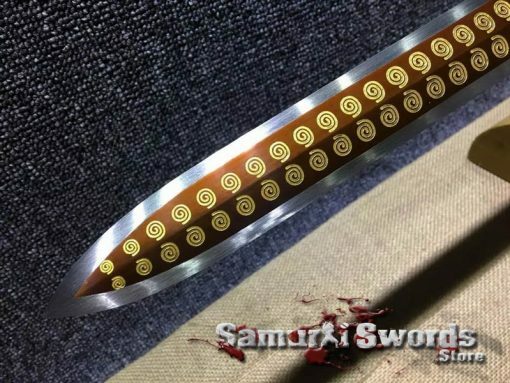 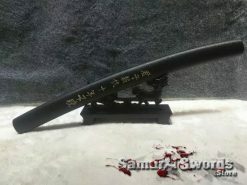 The surface of the blade has been engraved and dyed with Chinese scroll work pattern. 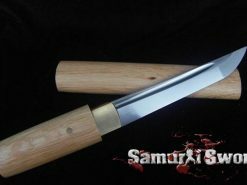 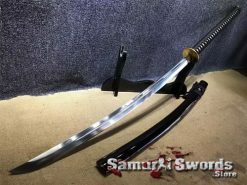 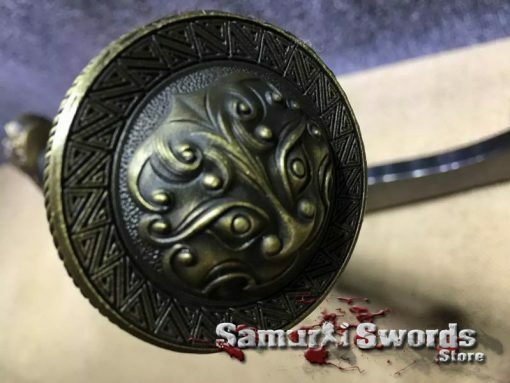 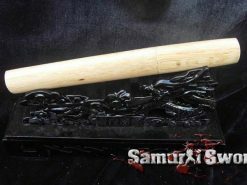 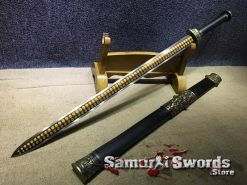 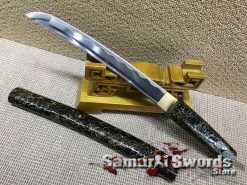 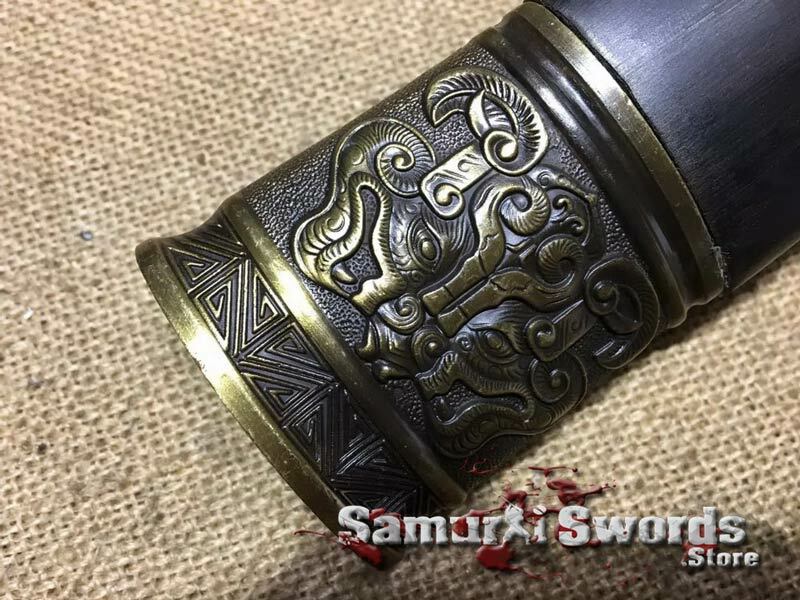 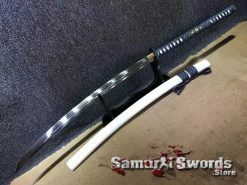 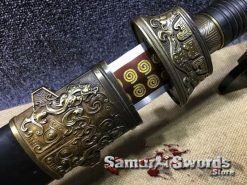 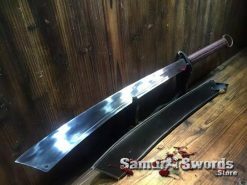 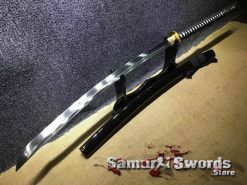 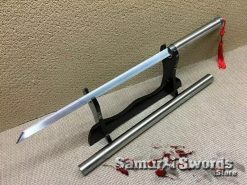 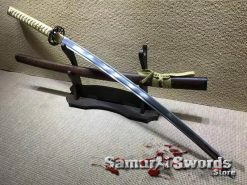 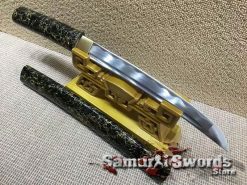 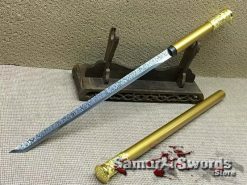 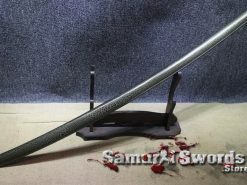 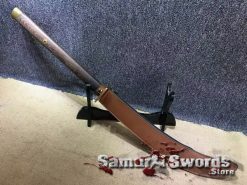 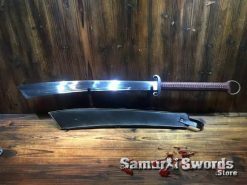 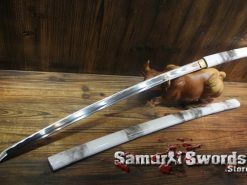 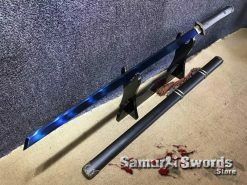 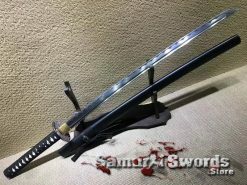 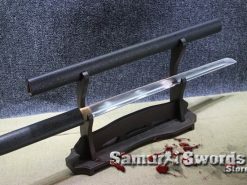 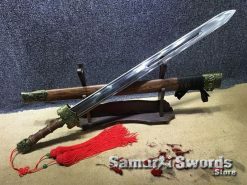 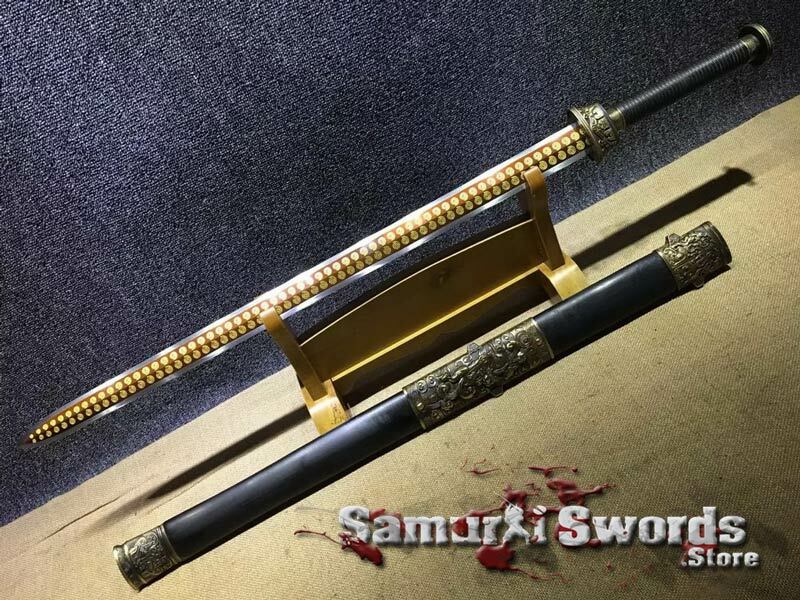 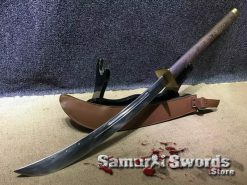 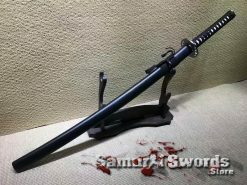 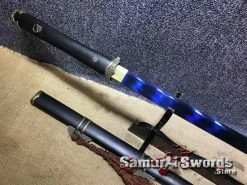 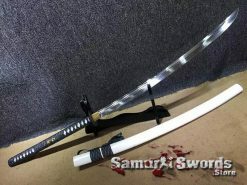 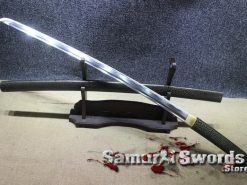 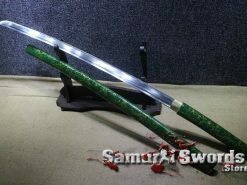 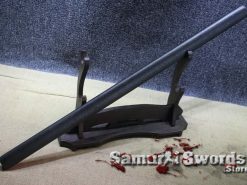 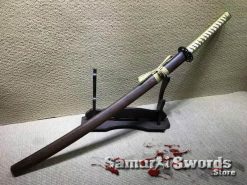 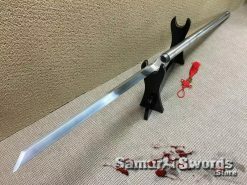 The fittings are of dark metal alloy and the scabbard is of darkened wood. 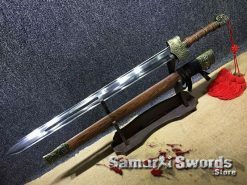 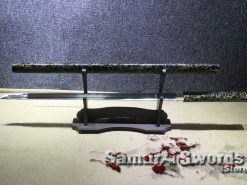 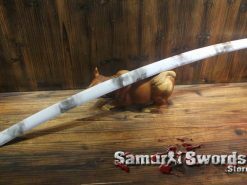 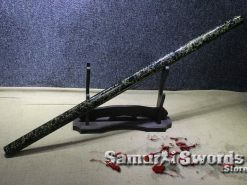 The sword comes in a wooden, ornamented gift box with a boxed cleaning kit and a sword stand.